Note: The version of Windows that you had on your PC before you upgraded won’t be there anymore. To get it back, you'll need to reinstall the previous version of Windows. 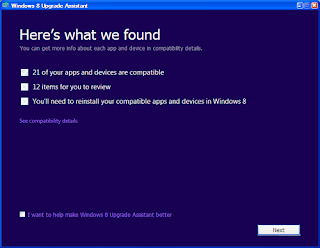 Before Purchase Windows 8, download the Windows 8 Upgrade Assistant tool and run it to your PC. 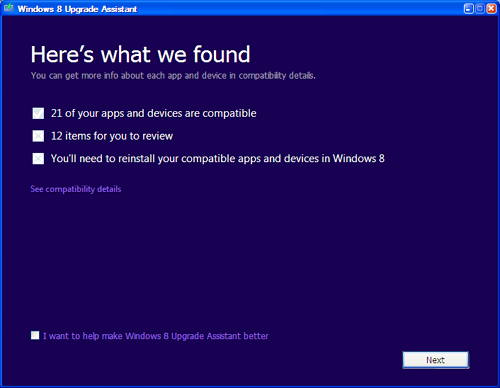 It scans your PC hardware and apps then it provides the compatibility report if your PC is eligible or not to upgrade. If it finds that your PC is ready to upgrade, it provides a recommendation for which edition to buy, with the option to buy, download, and install Windows 8 from there. Or you can buy the upgrade as a DVD if it is available in your country retail stores. Note that if you're upgrading from a DVD, you must have Windows running on your PC when you begin the upgrade. If you'd like to reformat your hard drive, you can do so as long as you start your PC from media and then format your hard drive from within the setup experience for installing Windows, and not prior to it. Note: If you are upgrading from Windows 7 all your Apps and personal files will be automatically added in Windows 8. 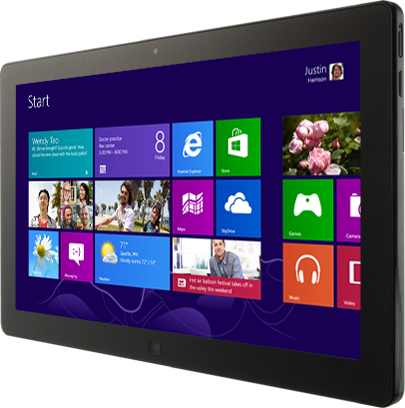 But if you are upgrading from other versions have to re-install apps for Windows 8.